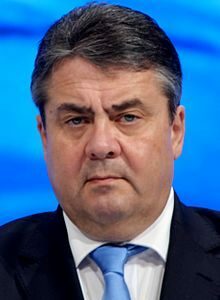 Germany’s Sigmar Gabriel blasts Donald Trump’s UN comments and another Polish leader wants Germany to lead Europe. German Foreign Minister Sigmar Gabriel warned against “national egoism” in world politics on Thursday in his first speech at the United Nations General Assembly. “This worldview describes the world as an arena, a kind of battleground, in which everyone is fighting against everyone else and in which everyone has to assert their own interests, either alone or in alliances of convenience,” Gabriel told world leaders. Gabriel’s speech rejected Trump’s previous remarks to the world body that encouraged world leaders to primarily consider their country’s own interests, reiterating his statement that he will be putting “America first” when it comes to foreign policy. German leaders continue to point to Donald Trump as a reason to work on Germany’s international ambitions. Germany wants to expand its influence and command a more powerful Europe. Donald Trump makes a good ‘foil’ as many in Germany and Europe despise him so much that doing anything differently than Donald Trump is often considered a positive. The German election campaign has not set Aleksander Kwasniewski’s pulse racing. However, the former Polish president feels the future of Europe has a great deal riding on the outcome. After the election, I expect to see immediate projects aimed at reinforcing European integration and their rapid execution. Europe – like never before – needs strong German leadership. Germany is predestined to play a key role due to its position as the largest European economic power, its experience as an “engine” state – alongside France – of European integration and also stemming from its historical role of sensitivity toward and understanding of the problems of Central and Eastern Europe. So, Poland’s former president sees Germany is predestined to lead Europe economically and in international politics. He also sees that Europe needs strong German leadership. The Bible teaches all of that. The Bible, thus, shows that there will be a unity problem with Europe. A strong leader will be needed to make Europe’s coming, but temporary, unity stronger. The “Beast” leader will be the one who becomes the final King of the North (cf. Daniel 11:21-44). The Bible shows that the European beast leader, also called the King of the North, will arise promising peace. More and more in Europe want to do something about the Donald Trump situation. Europe will one day support a dictatorial strongman. The Bible calls him the Beast of the Sea (Revelation 13:1-10) and the King of the North (Daniel 11:40). What about the view of the two Worldwide Church of God writers that this dictatorial leader will be German? It is consistent with biblical prophecy that this leader will be at least partially Germanic (Isaiah 10:5-12; see also Germany’s Assyrian Roots Throughout History and Germany in Biblical Prophecy). Other people are starting to notice that Europe is already being dominated by Germany (see ‘Undemocratic’ European Union has become a German empire). And many in Europe want that. We are seeing more calls for Germany to take the lead and distance itself from the USA. This entry was posted on Thursday, September 21st, 2017 at 3:00 pm	and is filed under Prophecy. BibleNewsProphecy: Is the USA Pushing Germany to Start WWIII?